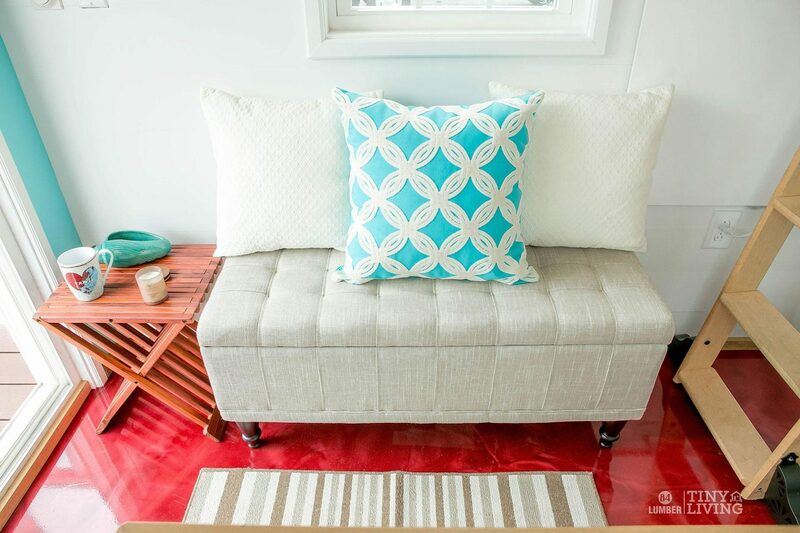 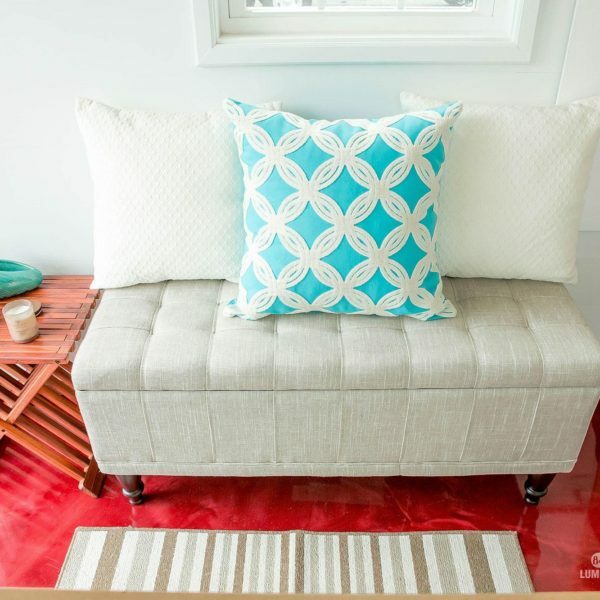 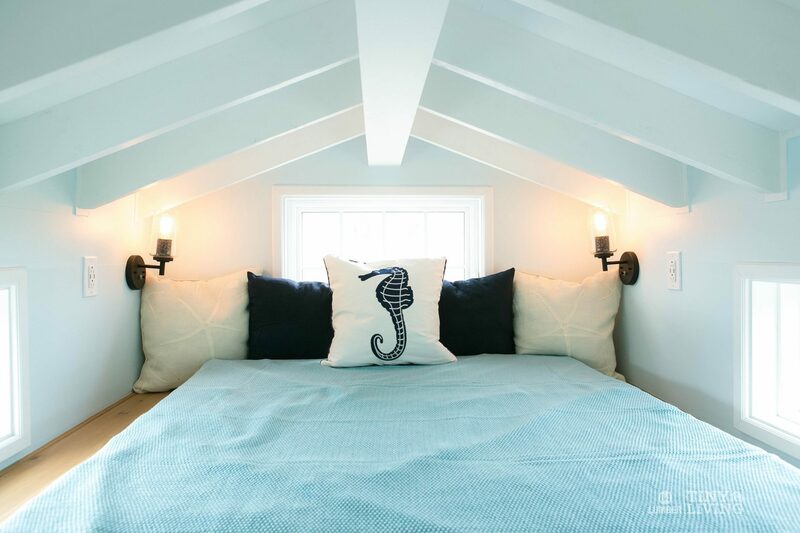 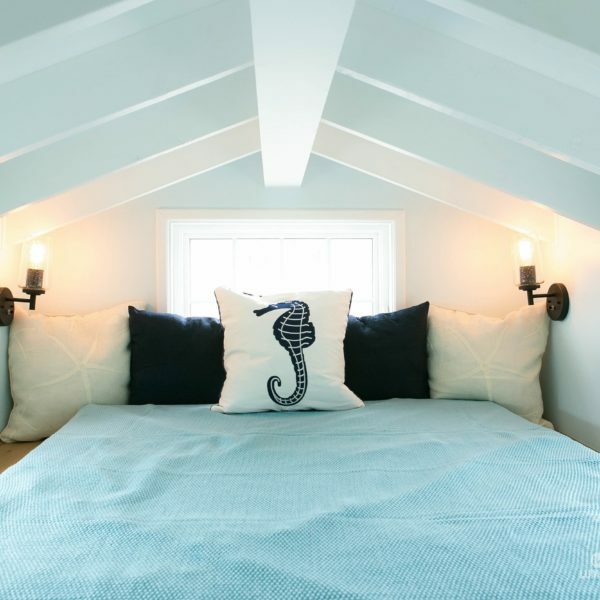 Meet the cottage-style Shonsie! 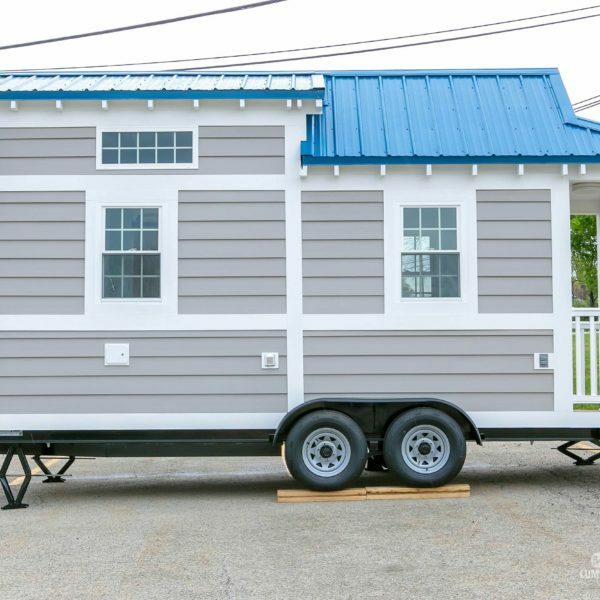 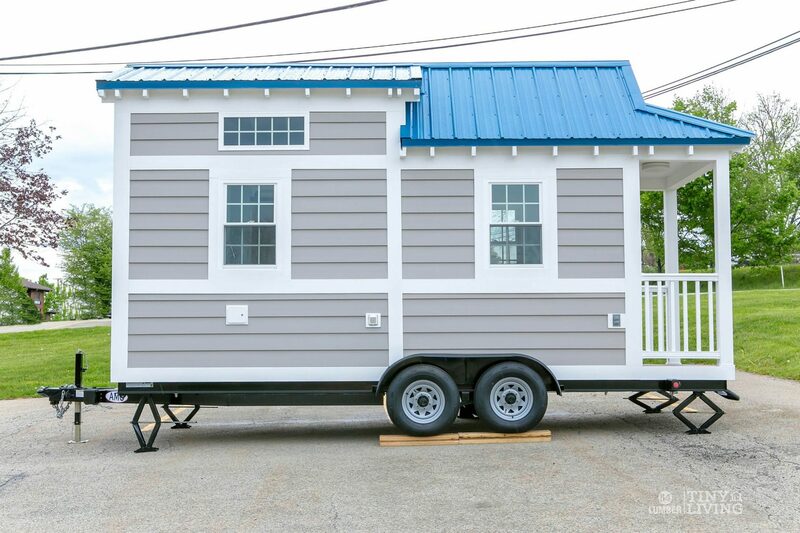 Built on a custom steel trailer with radial tires, safety brakes and stabilizing jacks, this home will transport you in elegant style to the nearest beach or seaside retreat. 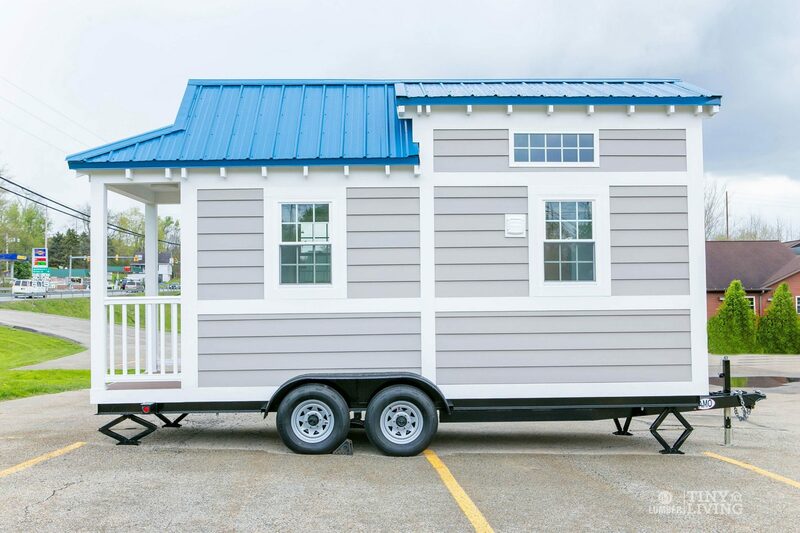 Onlookers will notice the striking blue or red metal roof and admire the polymer composite siding. 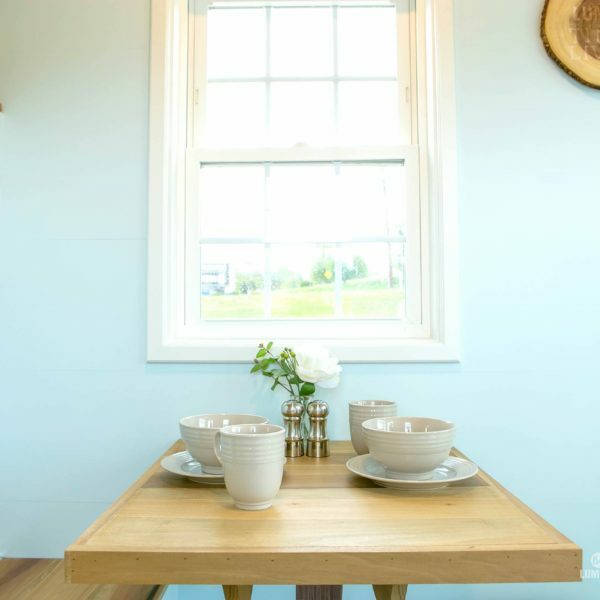 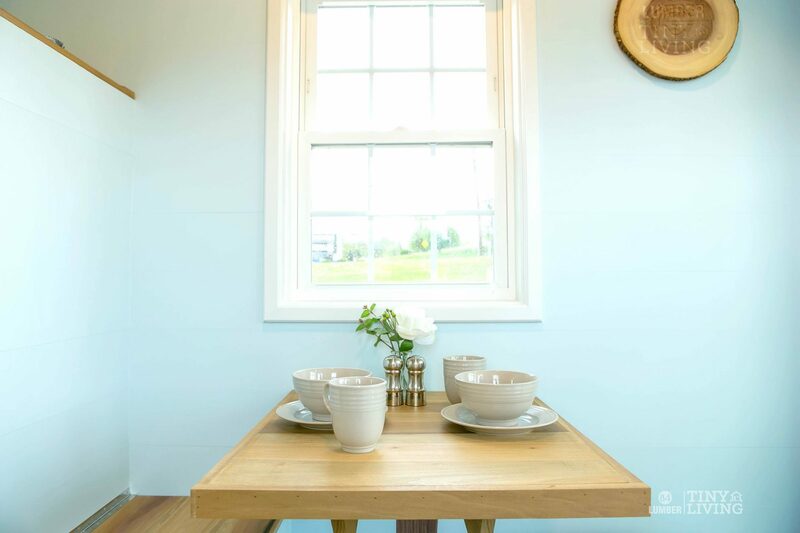 You’ll love the views through the sliding glass patio doors that lead out to the picturesque front porch. 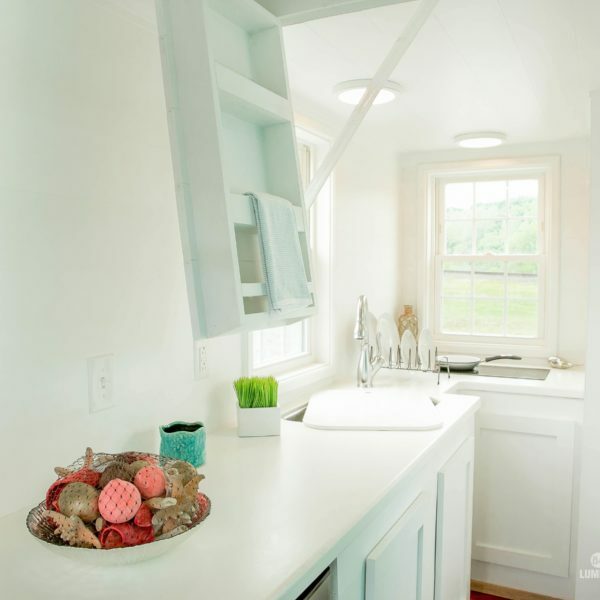 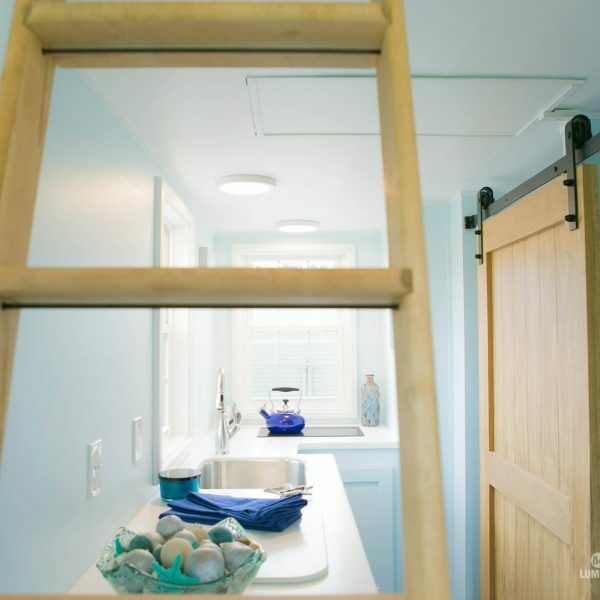 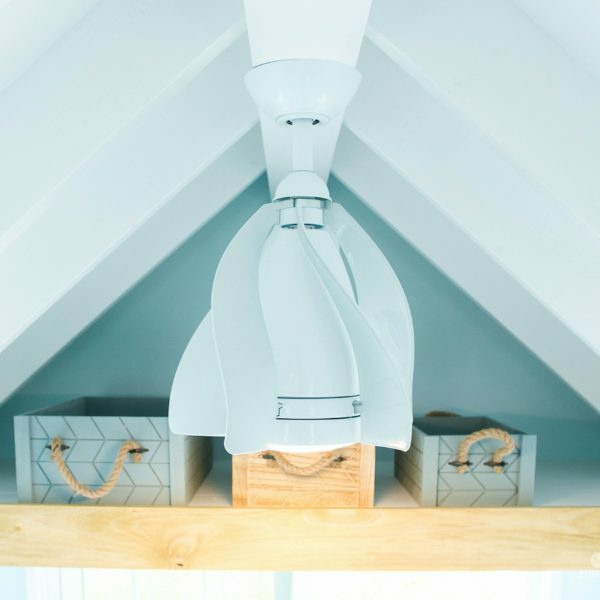 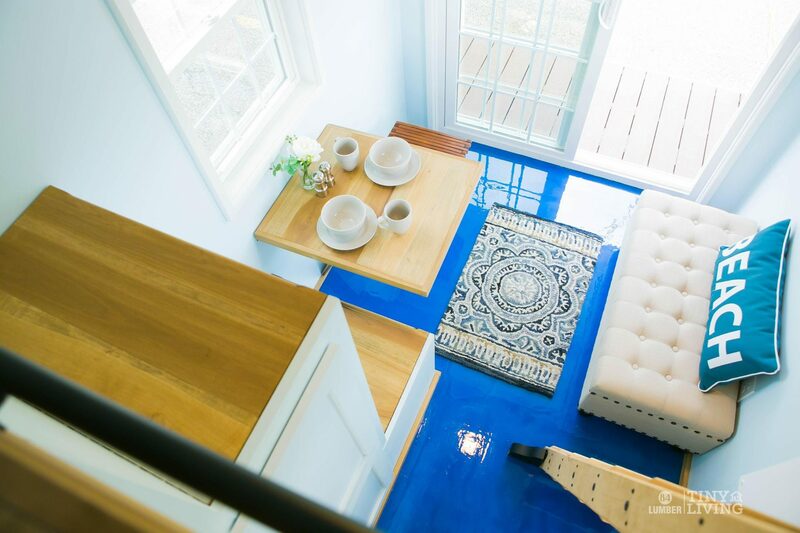 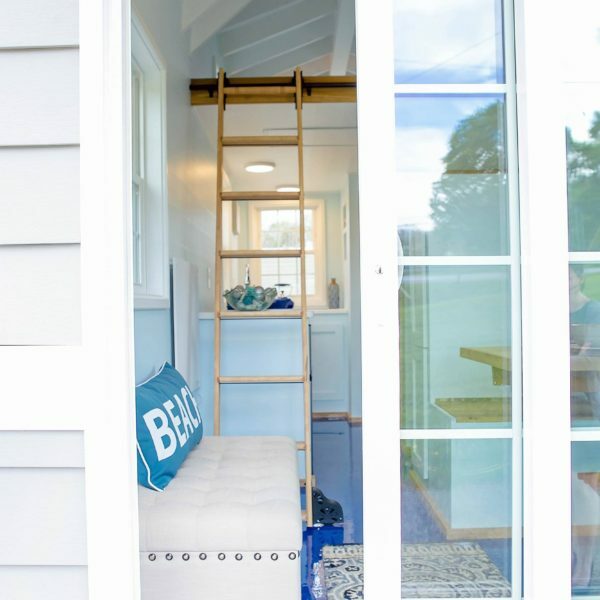 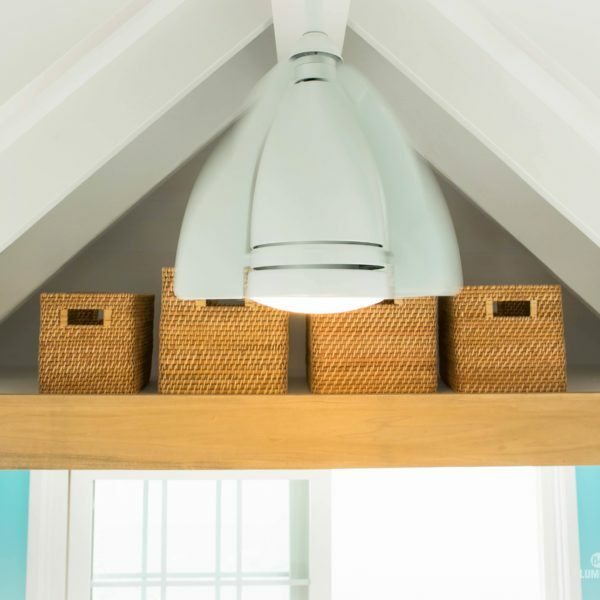 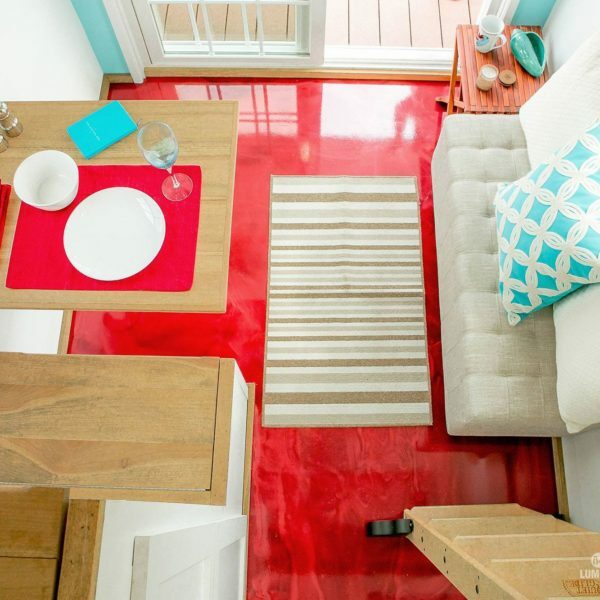 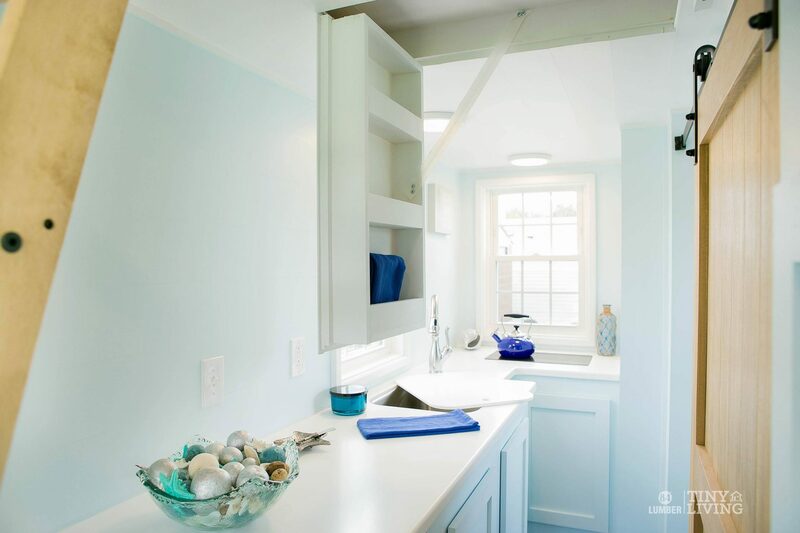 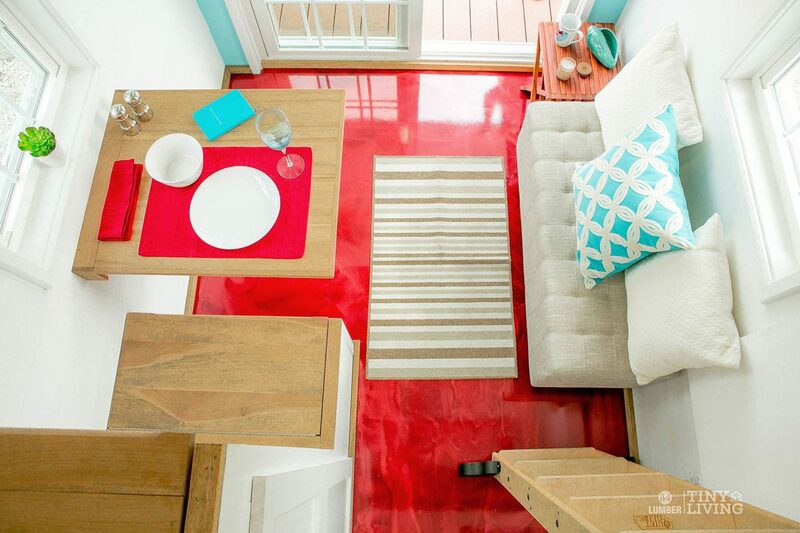 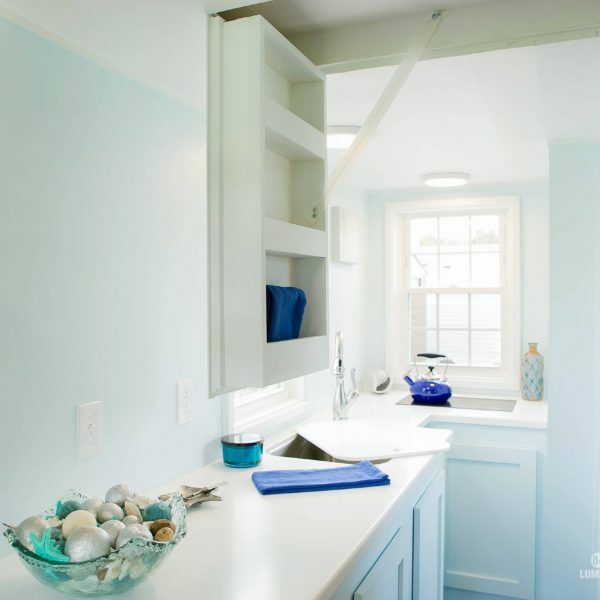 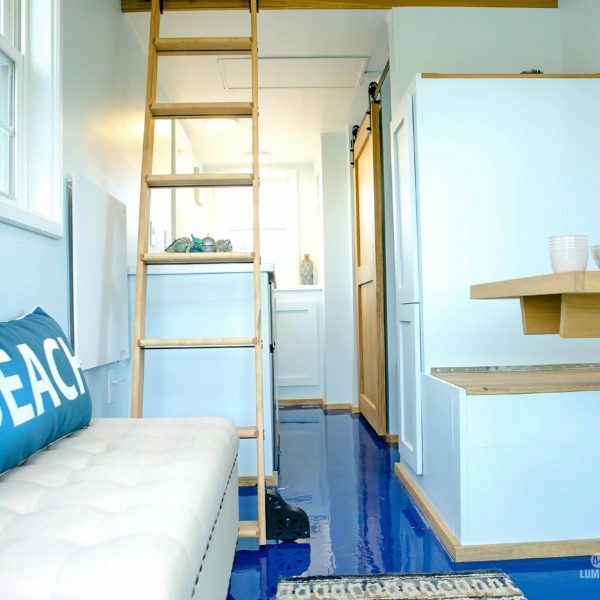 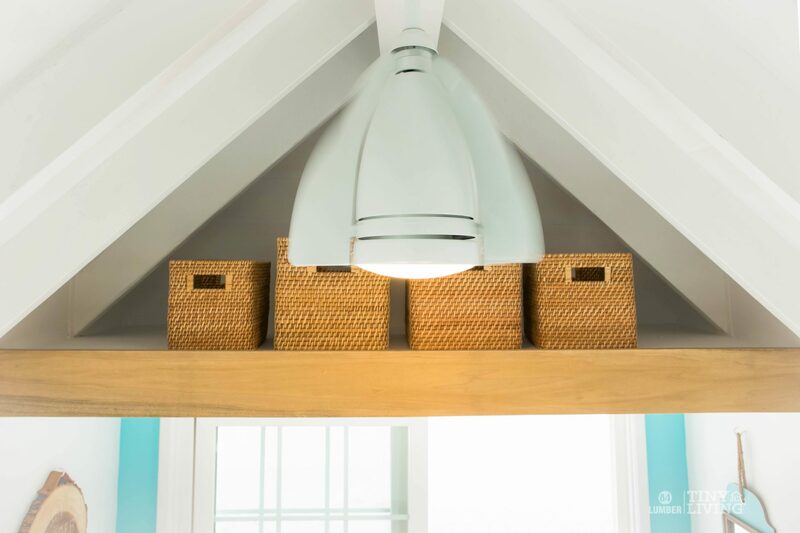 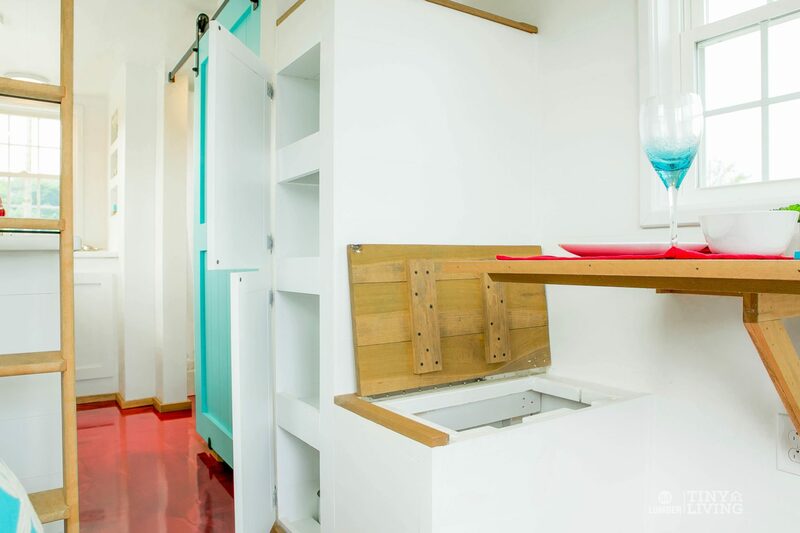 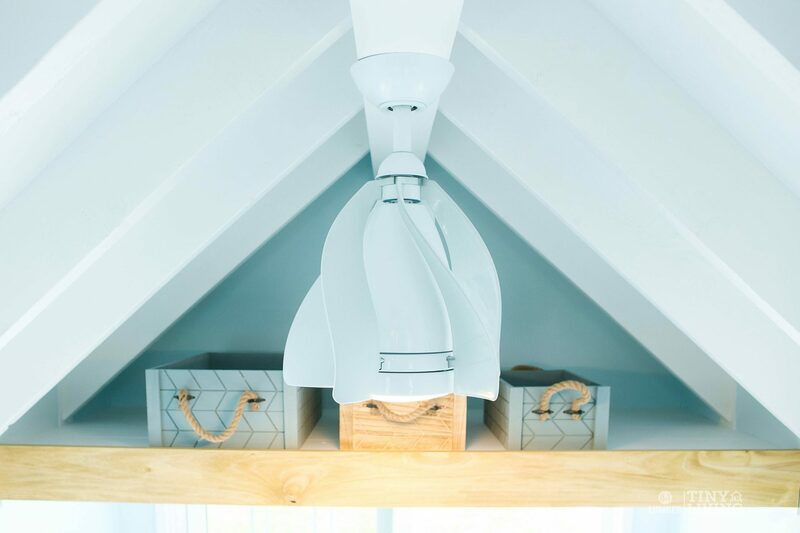 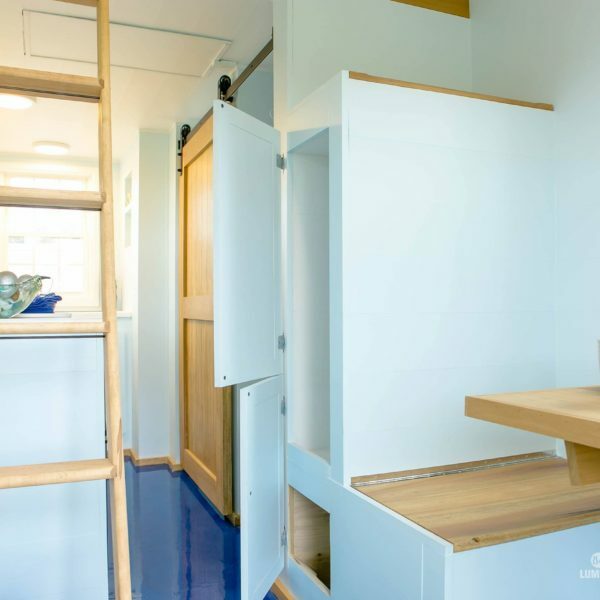 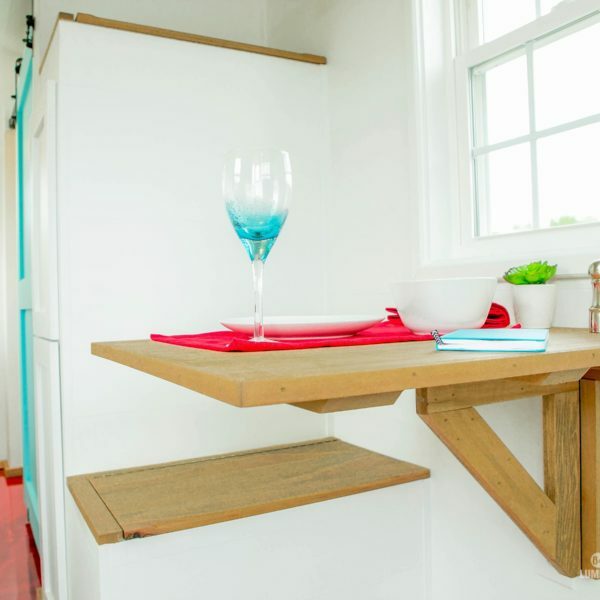 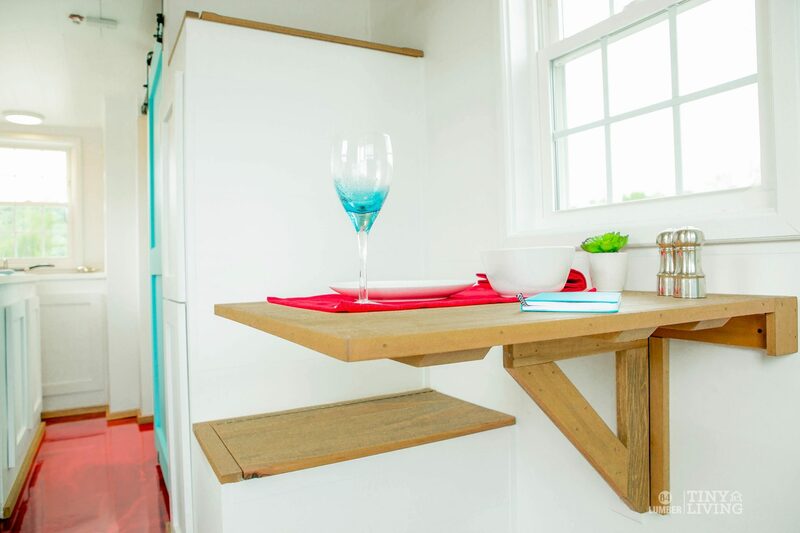 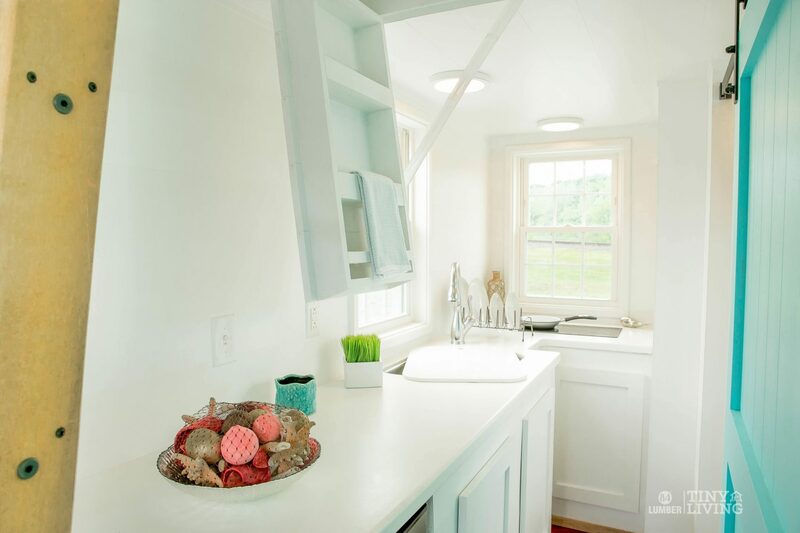 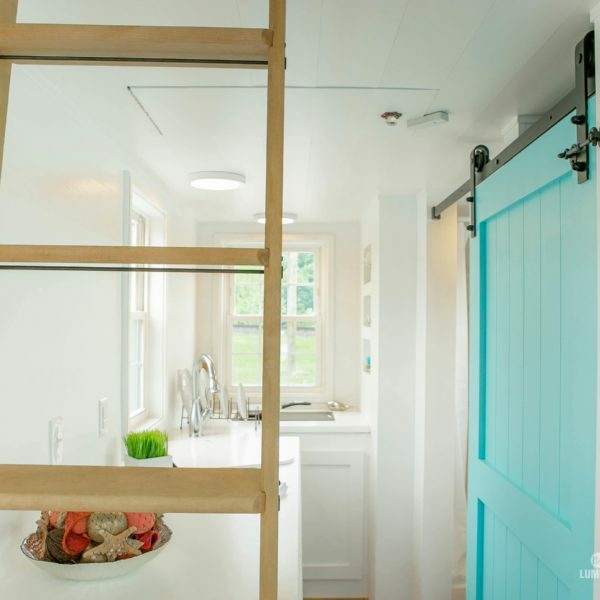 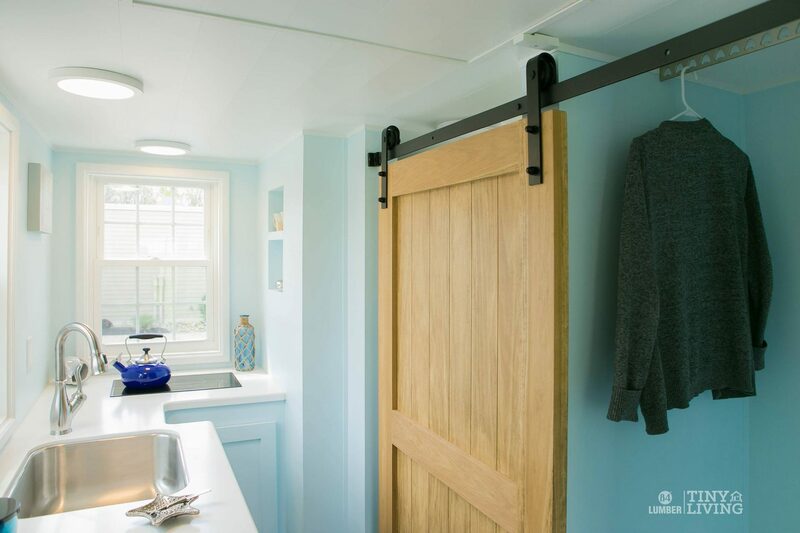 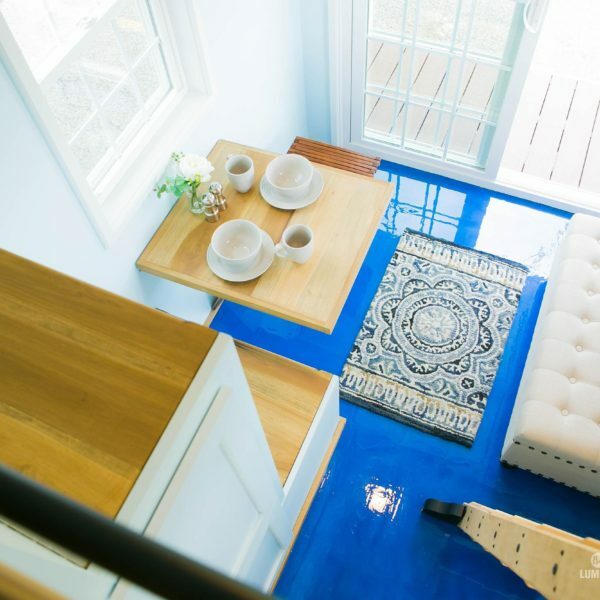 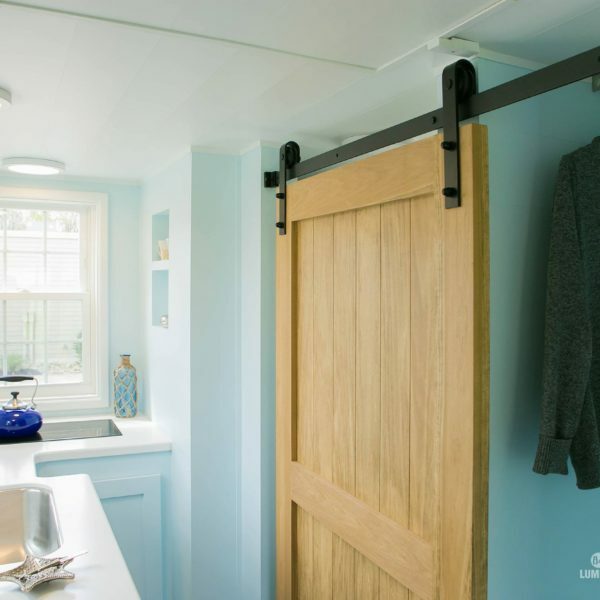 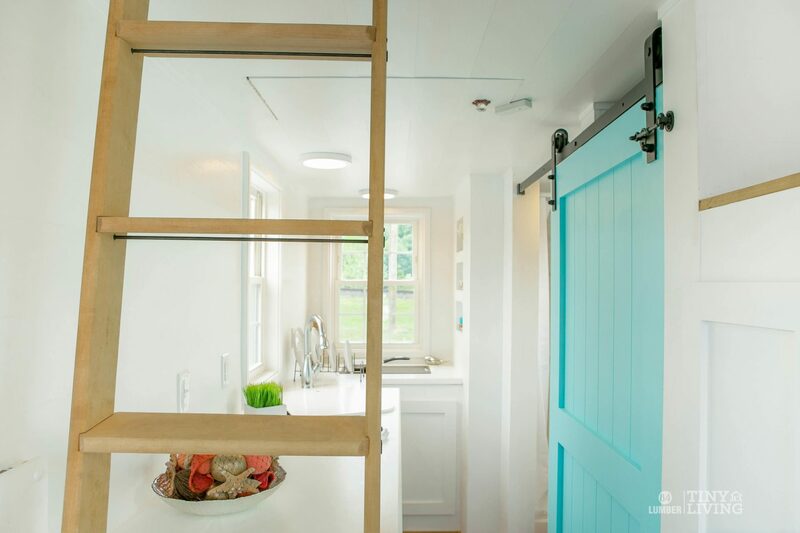 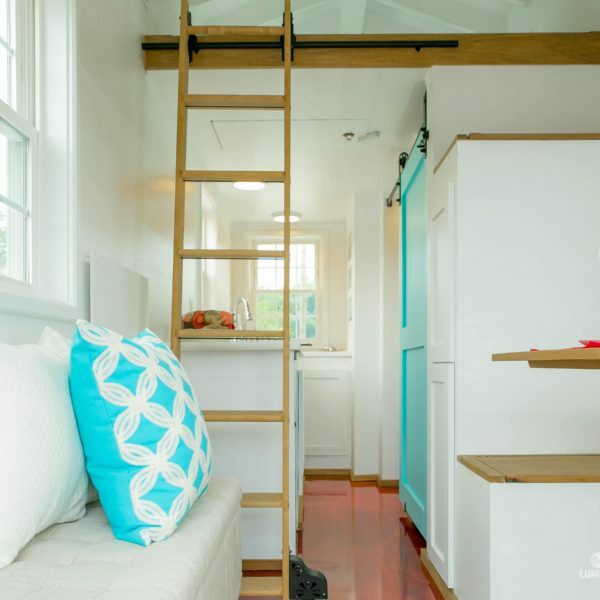 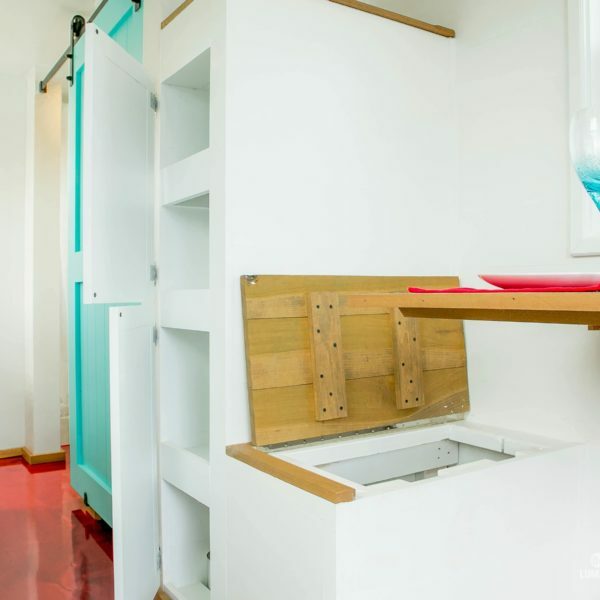 The interior of this lovely tiny home includes an exposed rafter ceiling, a gleaming epoxy floor, a rolling library ladder, and a folding dining table. 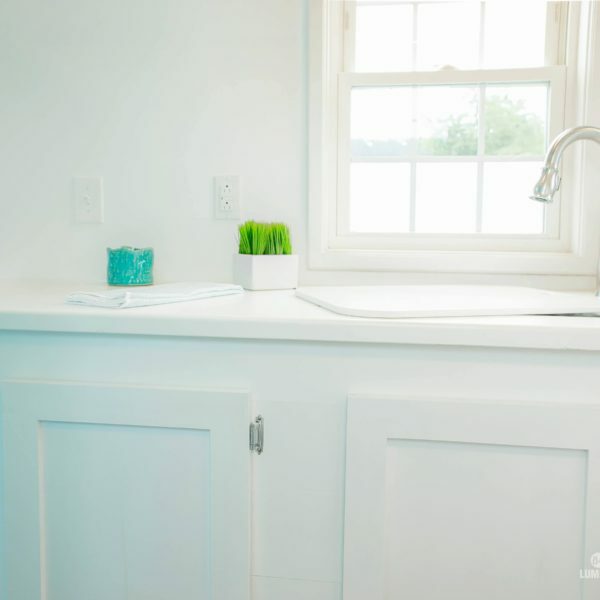 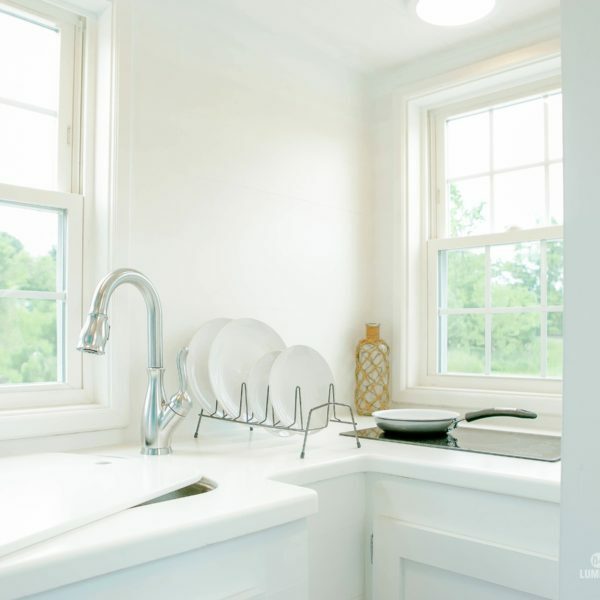 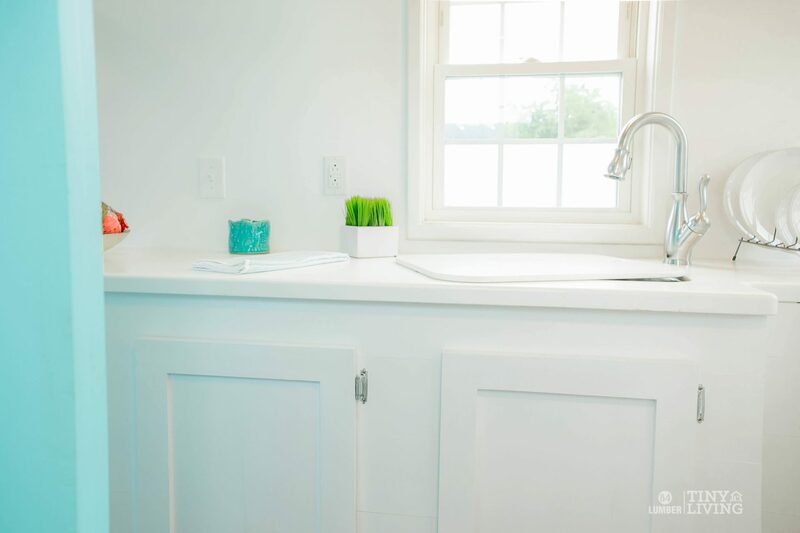 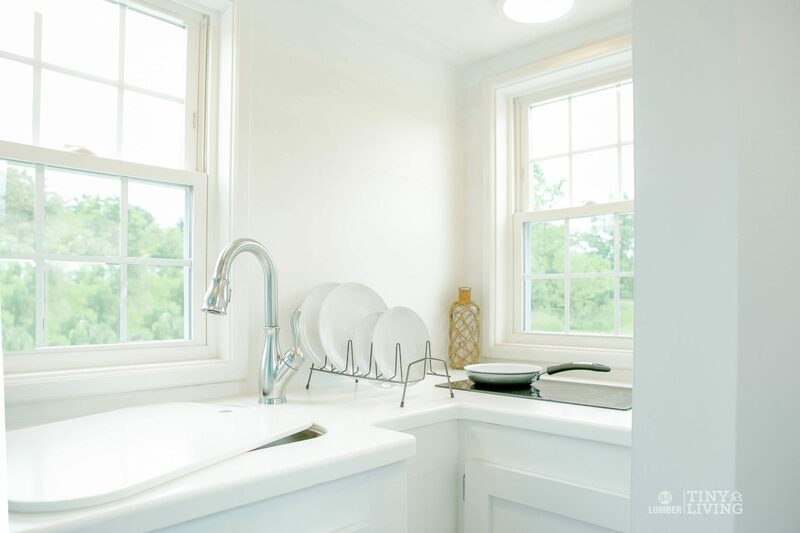 The kitchen features a stunning white solid-surface countertop, designer faucet, electric cooktop, stainless sink, and a ceiling storage compartment. 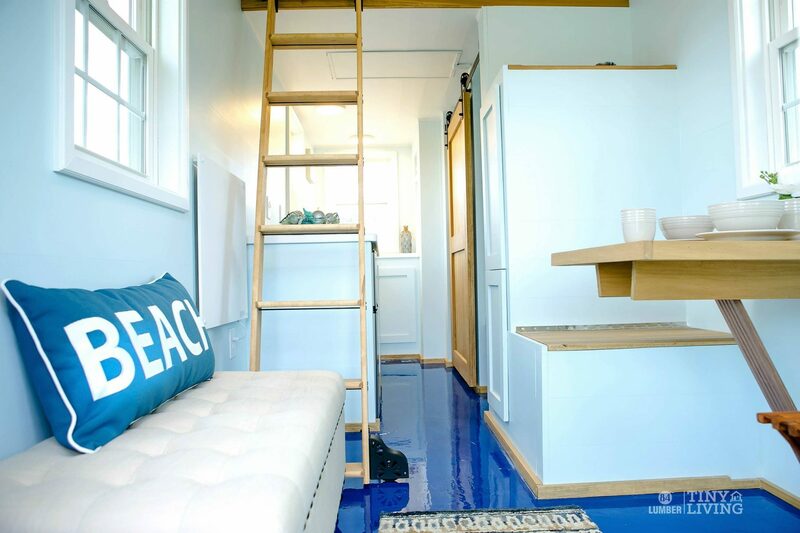 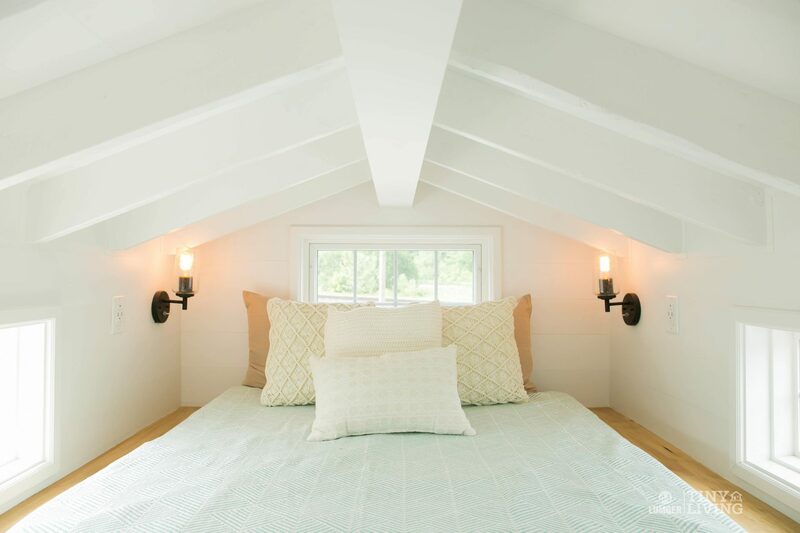 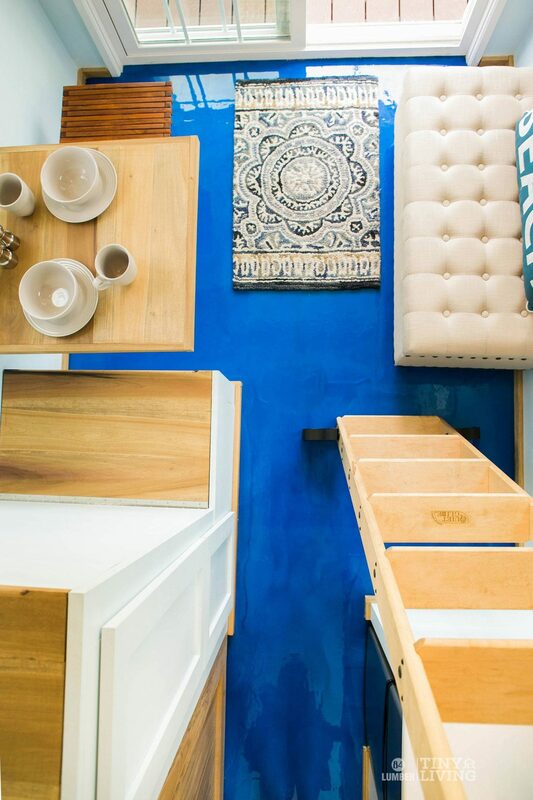 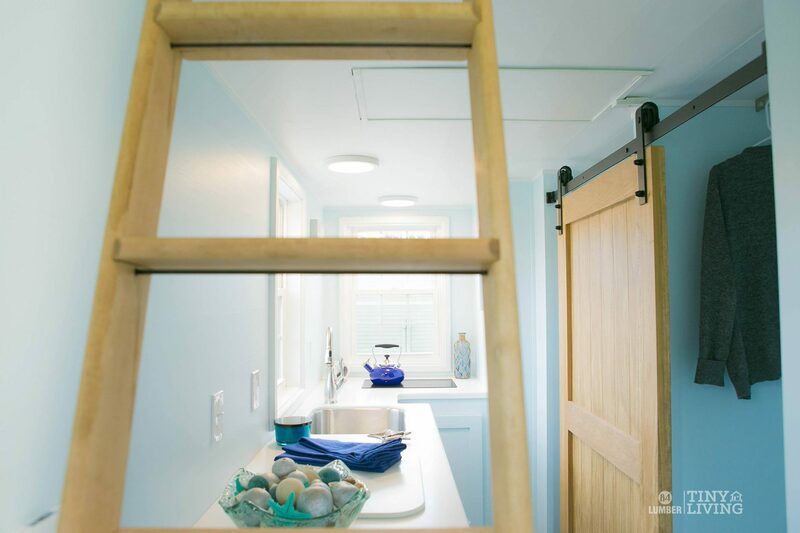 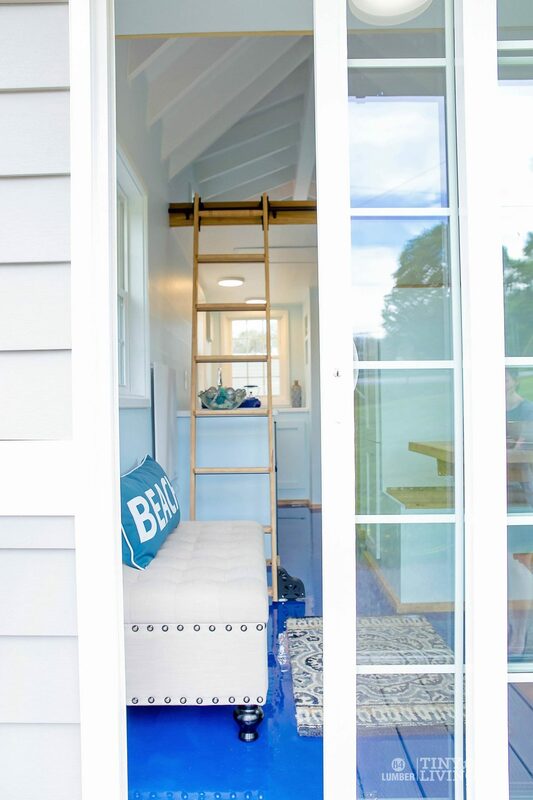 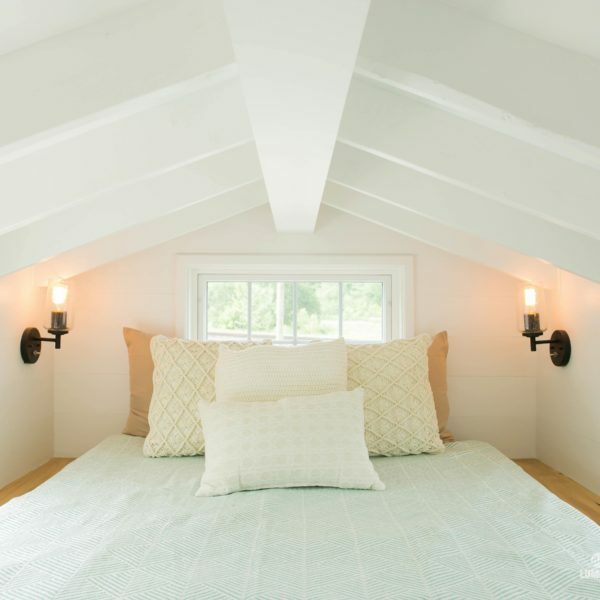 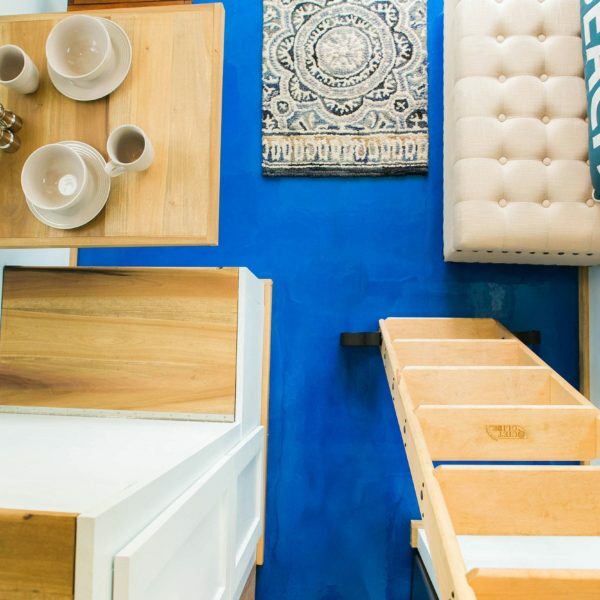 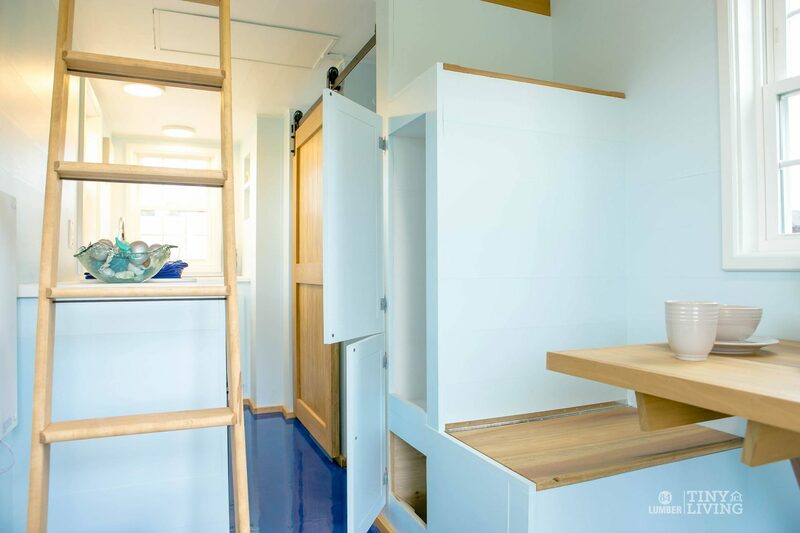 Take the ladder up to the 52 square foot sleeping loft and you’ll notice a full sized mattress, windows, and additional storage in the loft floor. 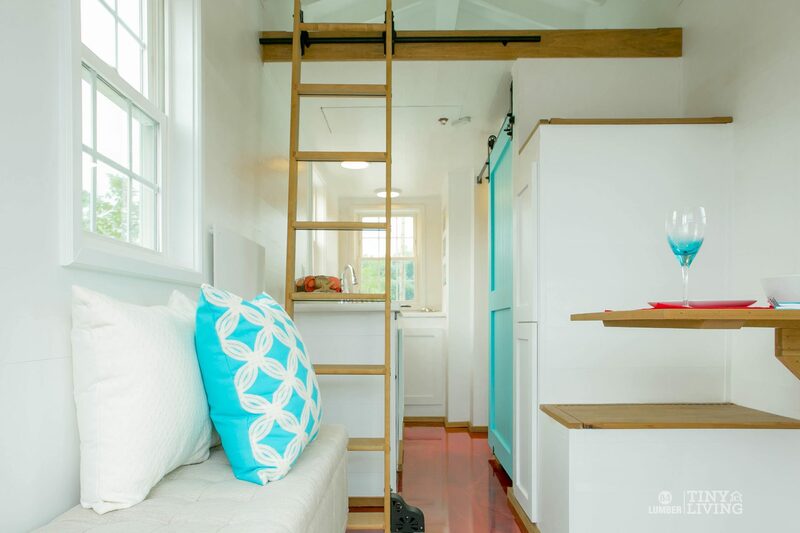 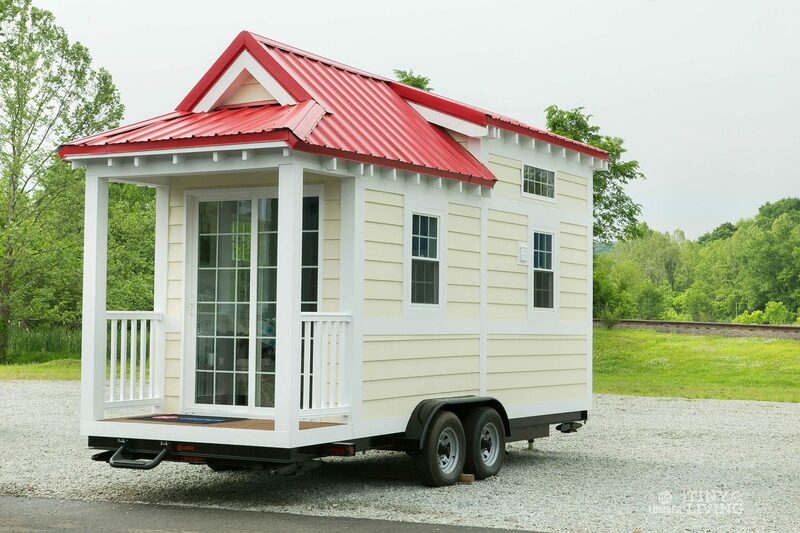 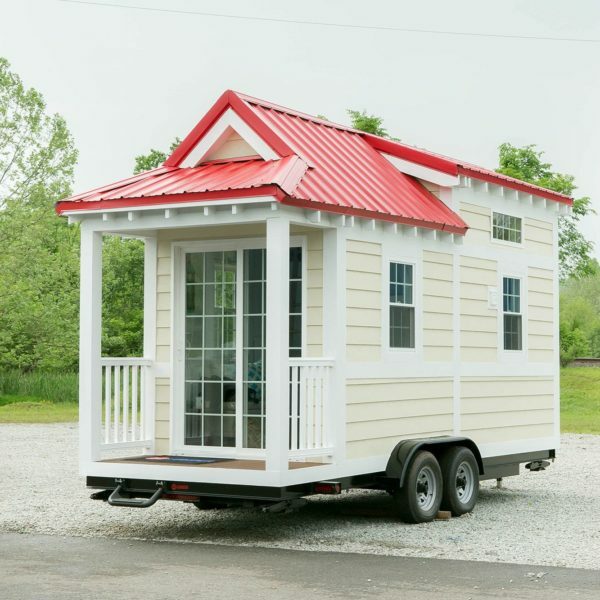 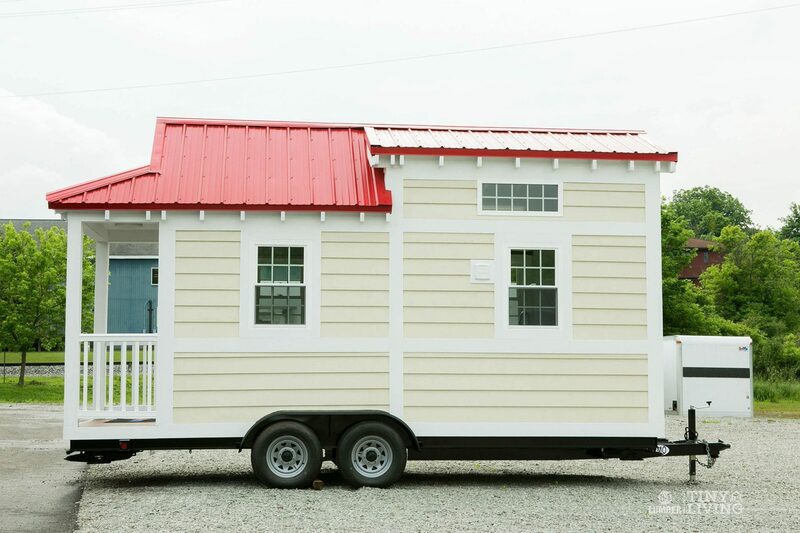 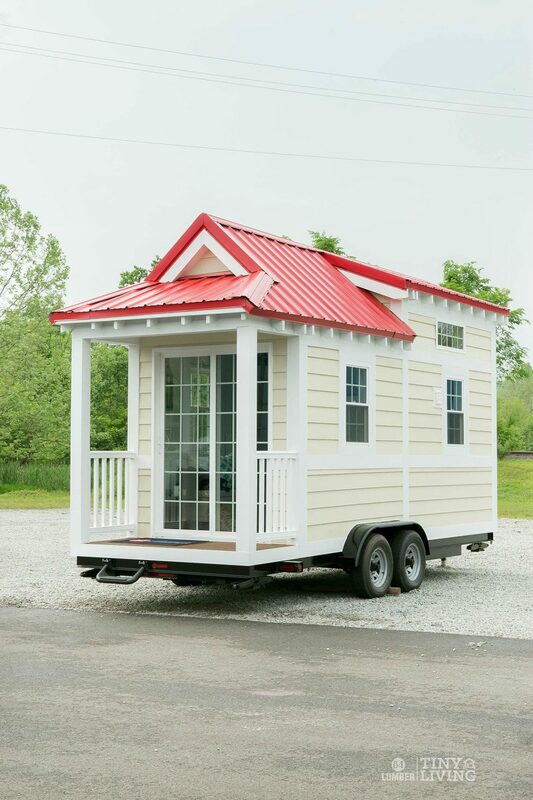 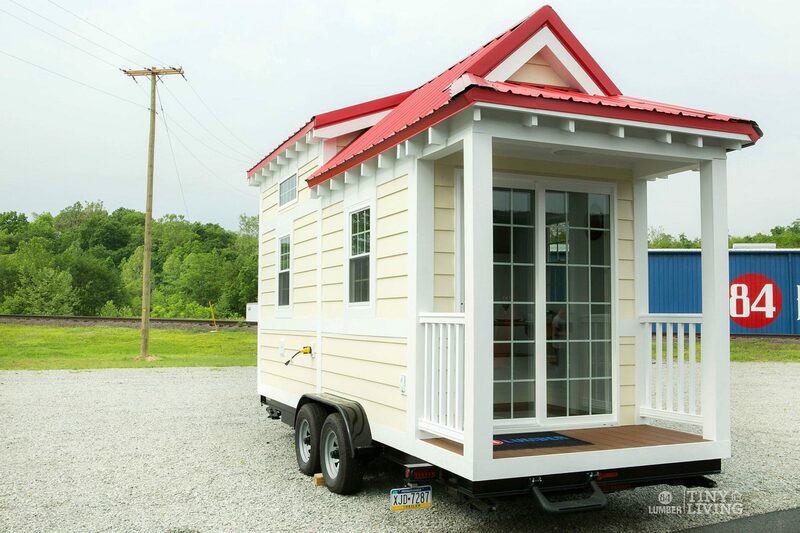 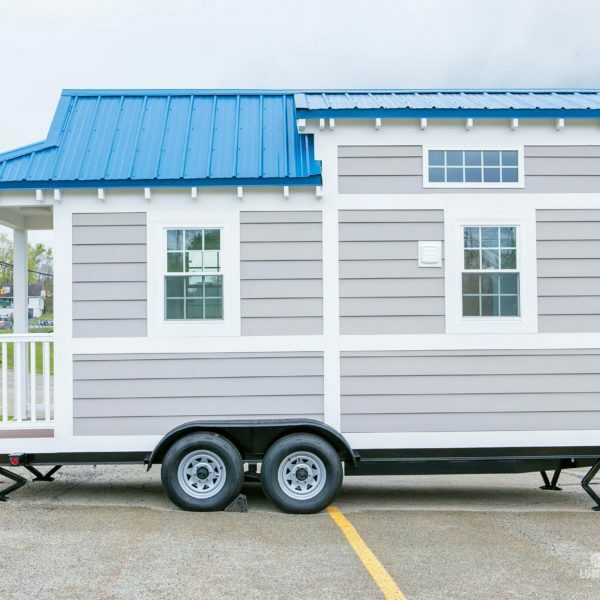 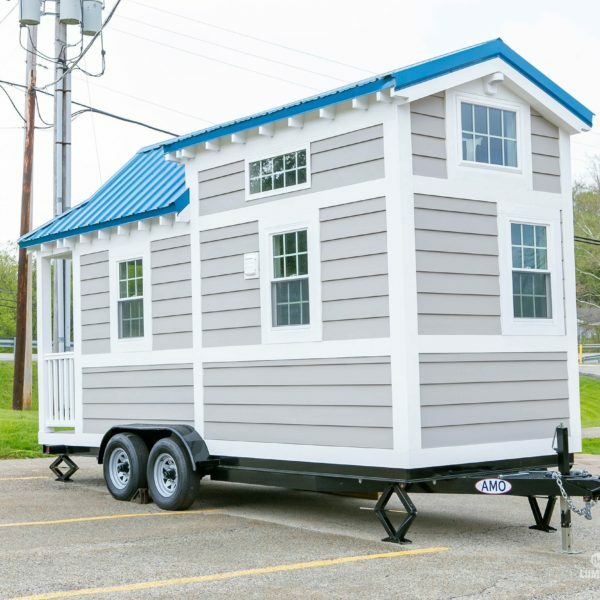 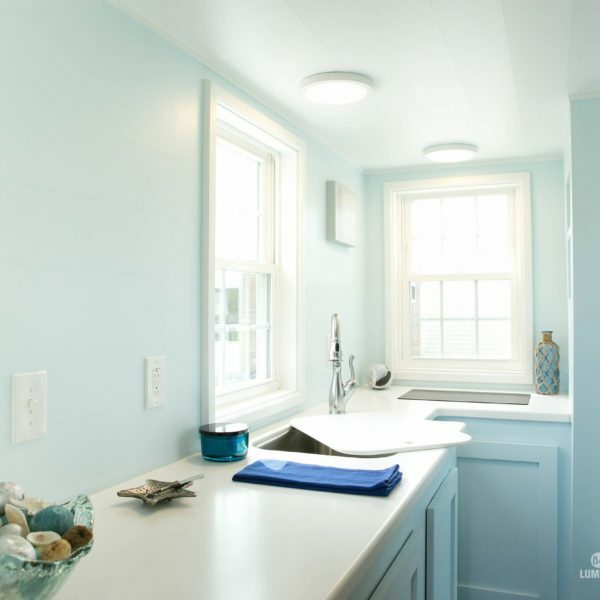 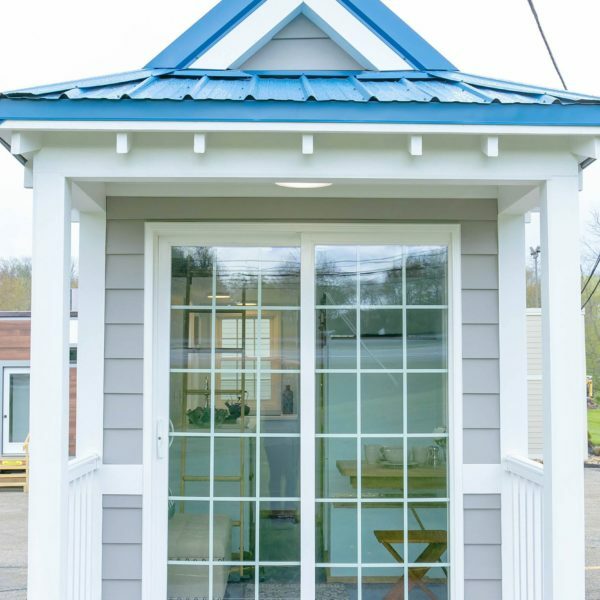 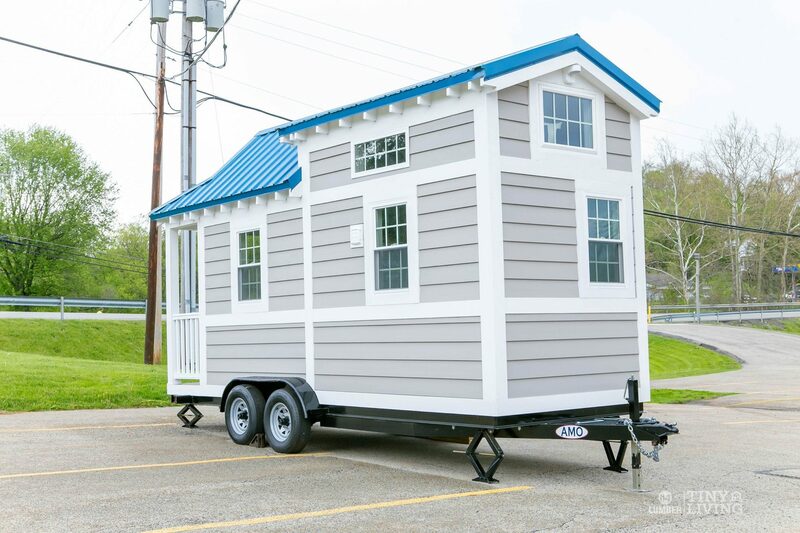 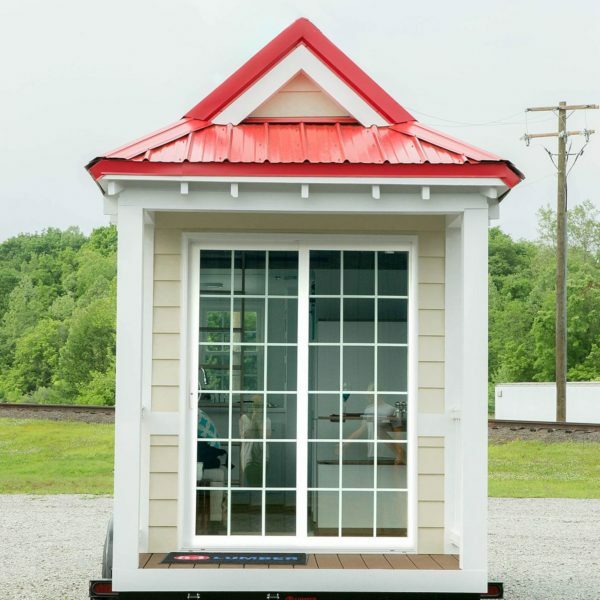 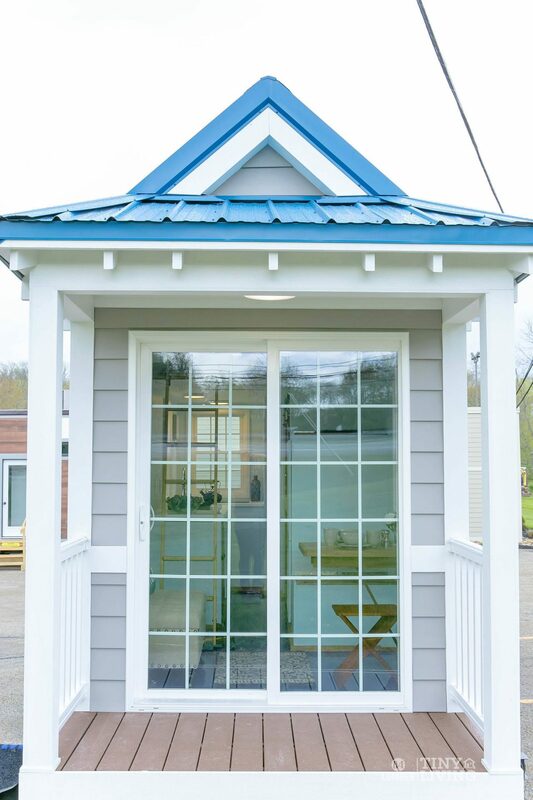 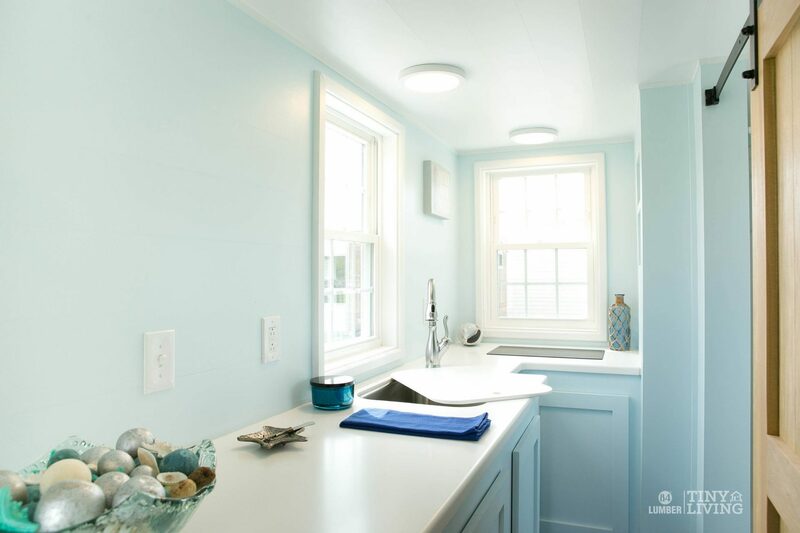 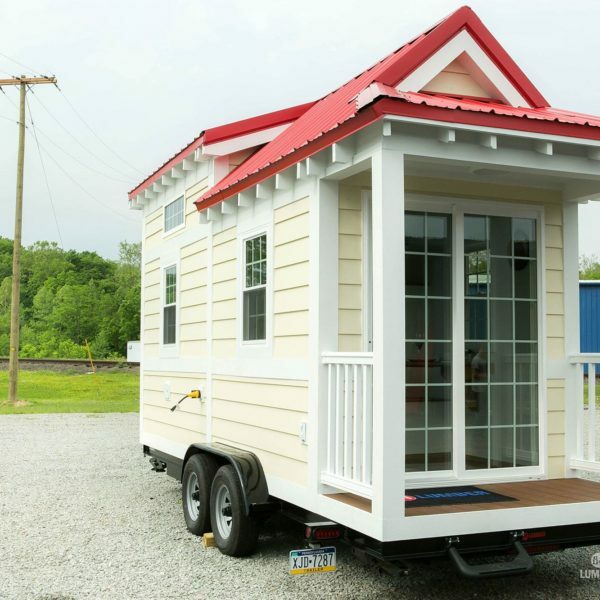 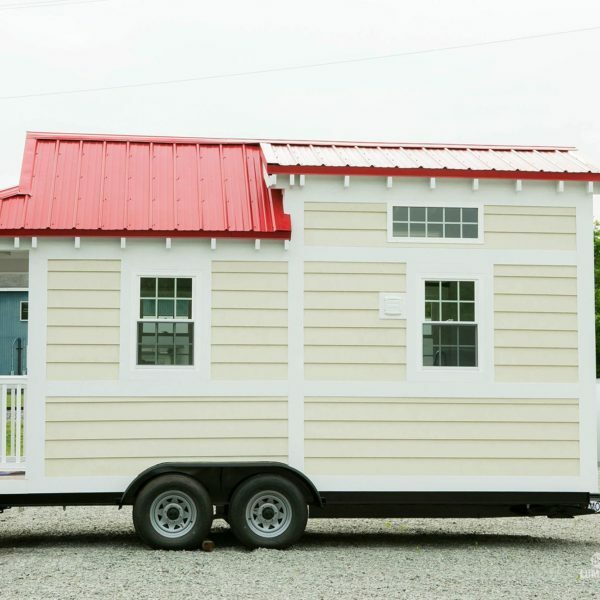 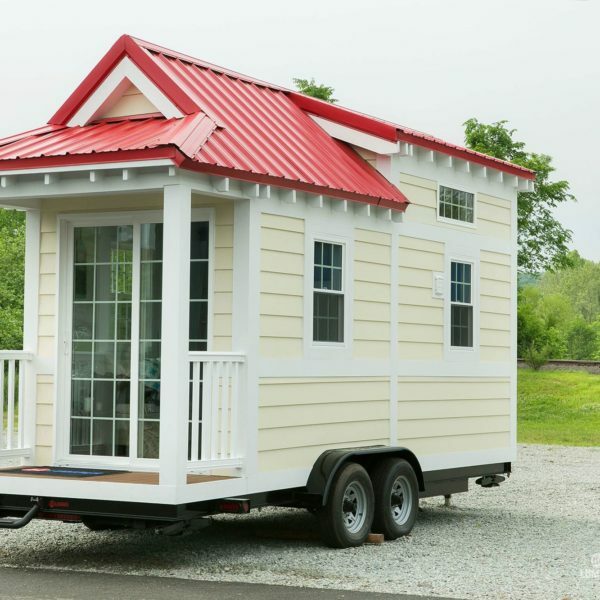 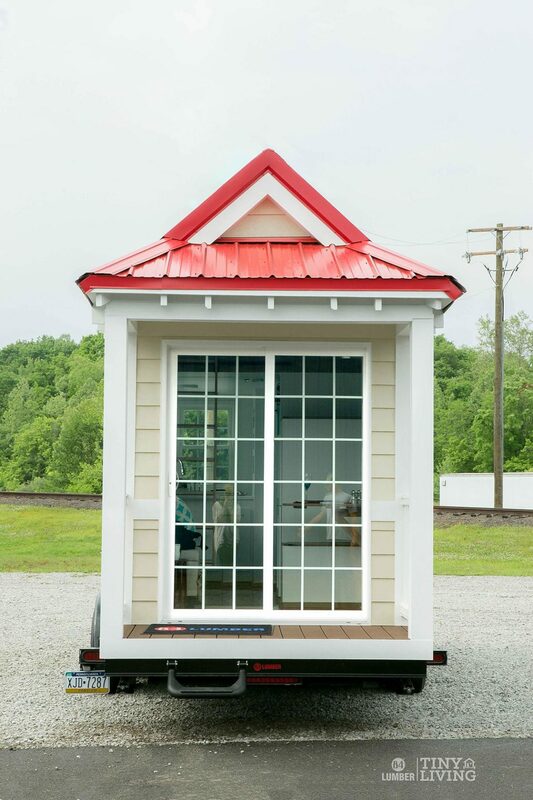 We hope you make this exquisite home your next home sweet (tiny) home.